:Jesus Christ came to reconcile man to God, but in that process He also disrupted the lives of those around Him. He challenged the cultural and religious status quo. He taught with authority, and His words were divisive. For centuries, the Jewish people had hoped for a Messiah who would make their circumstances more comfortable. But Jesus Christ didn't come to change circumstances-He came to change hearts. Today we still hold many of the same misconceptions. We want Jesus to fit into our plans, solve our problems, and make life better. Yet to all who come in contact with Him, Jesus is still The Disruptive Messiah, because He wants to remedy the real problem-our alienation from God. Real reconciliation brings real repentance and real repentance brings real change. In this practical and faith-affirming book, Bible teacher Ken Ruggles shows how a decision to follow Jesus Christ is the most revolutionary step we will ever take. Once you embrace that kind of change, it won't be long before your whole life gets topsyturvy. Disrupted. 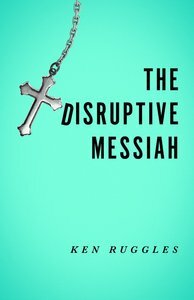 If your relationship to Jesus Christ isn't radically altering your thought life, your relationships, and your priorities, Ken Ruggles would like to introduce you to The Disruptive Messiah. For group or individual study, each chapter includes discussion questions and personal application exercises that will expand the reader's view of God's limitless power to turn lives upside down for His glory. Ken Ruggles, a graduate of California State University at Northridge, is a Bible teacher and occasional preacher. As a lay leader in a vibrant church in Santa Clarita, California, Ken has ministered in Adult Bible Fellowships, encouraging and equipping adult ministry leaders over the last 25 years. Through World Impact Ministries, he teaches seminary-level theology to urban church leaders. He is also the chief financial officer for a large manufacturing firm. Ken and his wife, Beckie, have two grown sons.